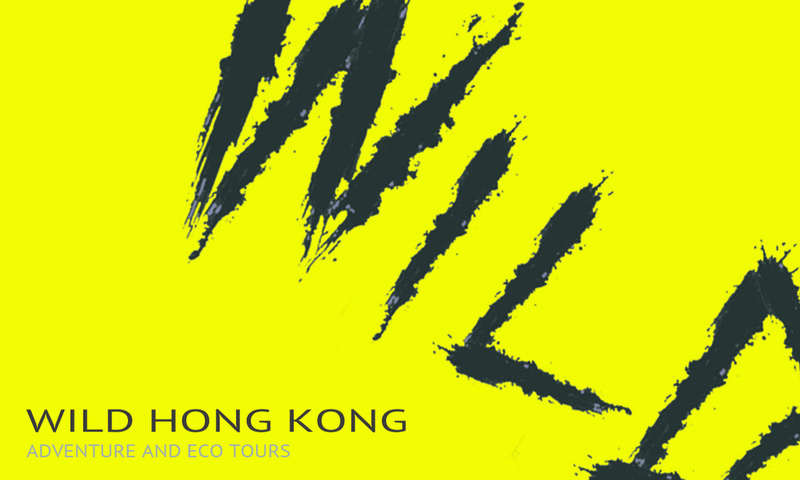 ​TERMS AND CONDITIONS: are between WILD HONG KONG [ “WHK “] and the booker who enters the agreement for the provision by WHK of tour services [ “ the visitor “] . A visitor must be a resident of Hong Kong or someone who has legally entered Hong Kong. WHK is the sole provider of tour services through its proprietor, Rory Mackay, or in his absence, any staff which may engaged in the operation from time to time. WHK is not an agent of the visitor, nor of any other operator or provider of services incidental to its operation; nor does it act for or hold out as acting for, any other operator. WHK does not provide any booking nor hold itself out as acting for any carrier on behalf of the visitor, be it outbound from or inbound to Hong Kong. WHK does not provide, nor hold out as providing any accommodation for the visitor during his stay in Hong Kong. All tours contracted for take place exclusively in Hong Kong. ​1. The agreement becomes complete and binding upon the acceptance by the visitor of these terms and conditions, which are also set out in the WHK website and the payment of the cost of the tour as advertised there [ “ the booking fee “]. The booking fee must by paid by the visitor prior to the commencement of the tour, unless otherwise agreed between him and WHK. 2. If a visitor is booking on behalf of himself and another or more persons, then he is treated as having made the booking and accepted the terms and conditions on their behalf. This is confirmed by his agreement to the terms and conditions and payment of the booking fees. The visitor making a booking must be over the age of 18 years. 3.Any fees additional to the booking fee, which become payable for a change or extension to the tour, as agreed between WHK and the visitor must be paid in cash prior to the commencement of the tour. 4.The tour commences with the visitor meeting a guide from WHK at the transport point, which is agreed as to time and place between WHK and the visitor. The tour ends upon the return to that point, or other point in Hong Kong, by agreement. 5. If through no fault of WHK the tour has to be abandoned after it has commenced, as a result of the conduct of the visitor or anyone in his associated group; or because of sudden bad or dangerous weather conditions; or because of accident or illness of the guide, or for any reason beyond the control of WHK, the visitor or any visitor in a party is not entitled to a refund. 6. In the event of a red or black rainstorm warning, or the hoisting of a Number 8 typhoon signal 3 hours before the tour is to commence, the visitor will be contacted by phone or SMS, to inform him that the tour is cancelled. In these circumstances, the visitor will receive a refund of the booking fee. 7.If the visitor cancels the tour at least 7 calendar days in advance, there will be full refund of the booking fee. 8.If the visitor cancels the tour between 3 and 6 calendar days in advance, there will be refund of only 50% of the booking fee. 9. If the visitor cancels the tour within 2 calendar days in advance , or does not appear at the commencement of the tour, there is no refund of the booking fee. ​10. The tour is undertaken by the visitor at his own risk. WHK takes every care to check the routes before commencement and ensure that they are reasonably safe. However, there are inherent dangers in walking or hiking on unpaved and uneven paths, over stones and rocks and slippery vegetation. The tours over such terrain last some hours and the visitor should ensure that he has a reasonable standard of fitness. It must be taken into account that some tours go to remote places and the visitor must be fit for the return walk. I1. It is a condition of commencing the tour that the visitor has an operative mobile phone in order that in the unlikely event of getting lost he can contact his guide or other members of his party, or a rescue service. It is also desirable that the visitor has appropriate strong footwear, such as walking shoes, or supportive boots. Sandals and thongs are not suitable as they have no support and the thin soles or open sides result in slower walking and liability to injury or blisters. The visitor should also carry a litre of mineral water, brimmed headgear, plenty of sun block a small rolled umbrella and eye protection. 12. It is the responsibility of the visitor to notify WHK if he has any pre existing medical condition which might render him unfit to undertake the tour. This would be a major risk to his health and potentially dangerous to others on the tour, leading to a cancellation of the tour. 13. The blogs in the archives on the WHK website, for example in September 2015, give additional help for health and safety. 14. It is also a condition that WHK is not liable for loss or damage to the visitor howsoever caused. In particular, from vertical climbing, cycling, kayaking or diving. 15. WHK strongly recommends that the visitor takes out travel insurance against the risks of loss, accident and injury in the course of the tour. This should take into account all his needs, responsibilities and the state of his health at the time of booking the tour. 16. Visitors who accompany young children or minors, as parents or guardians, are solely responsible for their supervision and behaviour during the tour. 17.It is the responsibility of the visitor at all times follow the reasonable directions given by WHK or its staff. Failure to do so can cause danger not only to the visitor but to other members of the party. An unreasonable refusal to act in this way could render the tour to be cancelled. 18. WHK is responsible for the provision of equipment for cycling, kayaking camping or other activities, be it supplied by WHK or a third party. Such provision does not constitute any agreement between the visitor and the third party, in the event that the equipment is not the property of WHK. The cost of supply of any equipment is included in the booking fee. The visitor is responsible for its safe use while in his custody and is liable to WHK for any loss or damage. 19. If the visitor is under 18 years of age, then he confirms that he/she has permission of his parent or guardian to undertake the tour. It is a condition of going on the tour, that there is at least one adult, other than the guide in the tour group. 20. WHK retains the copyright in all photographs and videos taken by WHK before, after and during the tour. 21. WHK reserves the right to vary these terms and conditions.